No one would have ever thought the Beagle2 probe could go lost and silent on Mars when it did, but it did – landed on Mars but never communicated with Earth for once to signal its position or status, and no one among the technical team that worked on it would have believed it would be found again since it went silent and lost – but it was found again after 11 years since its disappearance on December 25, 2003. When the HiRISE camera aboard NASA’s Mars Reconnaissance Orbiter picked up the glinting image of the all-but-forgotten probe, John Bridges of the University of Leicester knew this was no ordinary object. They “glinted” in the sun but cast no shadow, he had said. “This is not just a pile of rocks and sand on the Martian surface. This is an alien object, a man-made object,” he added, and subsequent image analysis discovered the lost Beagle2. 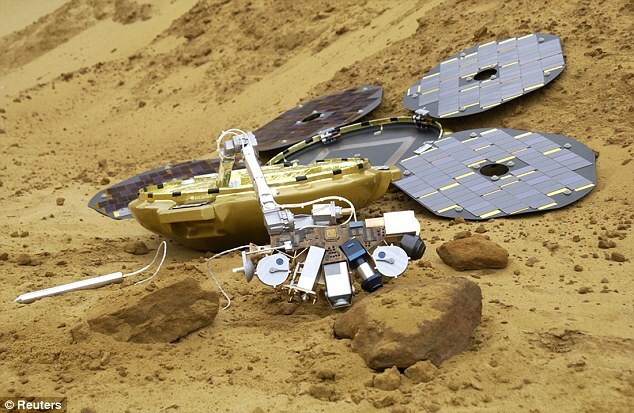 Beagle2 hitched a ride aboard the European Space Agency’s Mar Express mission to Mars, but it is now found to have actually landed by failed to unfurl its “petal” panels to allow for safe-landing. Since the solar panels failed to unfurl as intended, it meant the probe failed to power up the batteries that activate its radio signal aerial to enable it transmit its call sign back to Earth. Photos showed the unfurled panels remain attached to its pilot drogue parachute, indicating it must have managed the entry, descent, and landing process with some level of efficiency. “The history of space exploration is marked by both success and failure. This finding makes the case that Beagle 2 was more of a success than we previously knew and undoubtedly an important step in Europe’s continuing exploration of Mars,” said David Parker, the space agency’s chief executive. Professor Mark Sims of the Leicester University expressed his sentiments about the discovery of the lost space probe. “To be frank, I had all but given up hope of ever knowing what happened to Beagle 2. The images show that we came so close to achieving the goal of science on Mars. The images vindicate the hard work put in by many people and companies both here in the UK and around Europe and the world in building Beagle 2. “The highly-complex entry, descent and landing sequence seems to have worked perfectly and only during the final phases of deployment did Beagle 2 unfortunately run into problems. I view it as a great achievement that the team built Beagle 2 in a little over four years and successfully landed it on the surface of Mars,” he said.